Don't miss our spring concert on Sunday, March 2 at 7:30 pm at First Christian Church in Richmond. 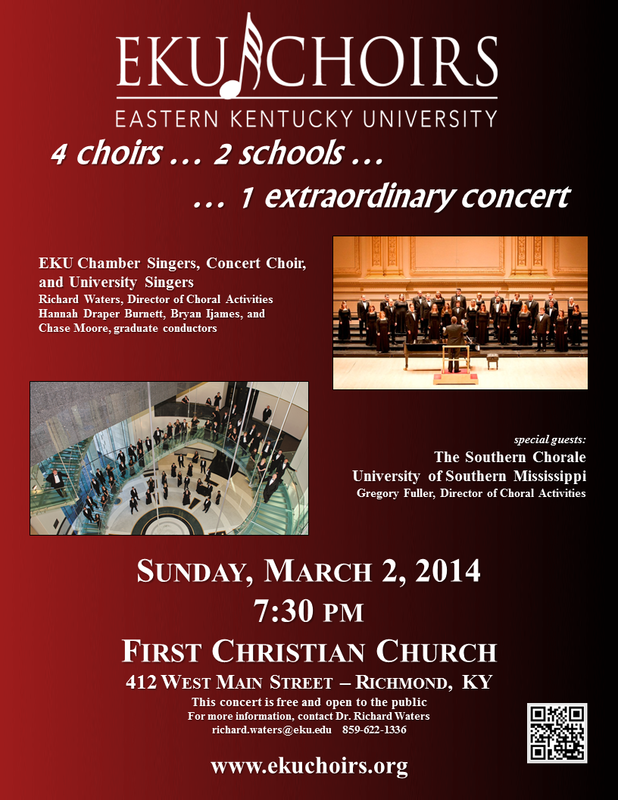 The EKU Choirs will be joined by the Southern Chorale from the University of Southern Mississippi, under the direction of Dr. Gregory Fuller. The program includes music by Barber, Barnum, Bernhardt, Ellington, Frizzell, Grigorjeva, Handel, Runestad, Schutz, and more. Free and open to the public.